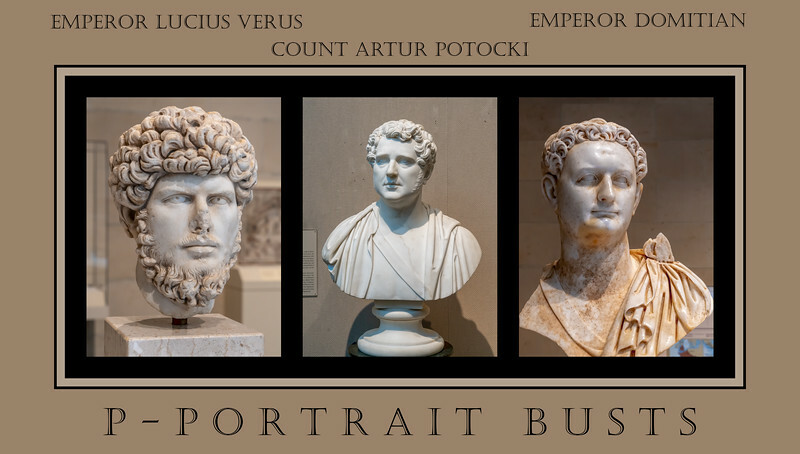 Two of the busts date to the 1st and 2nd centuries CE. They are of Roman emperors, executed in what is sometimes called the classical style. The third dates to the early 19th century, and is in the neo-classical style. You can certainly see the resemblance among them in hair styles! All are in the permanent collection of the Toledo Museum of Art. I must say that you have a mastery of the collage that is dramatic, timely and so wonderfully diverse. This is incredible.!! !